Please note: This bonsai blooms annually in April and May. The Japanese art of bonsai challenges a nurseryman’s skills, requiring careful pruning and wiring until a full-sized sapling is coaxed into a dwarf-like growing pattern. 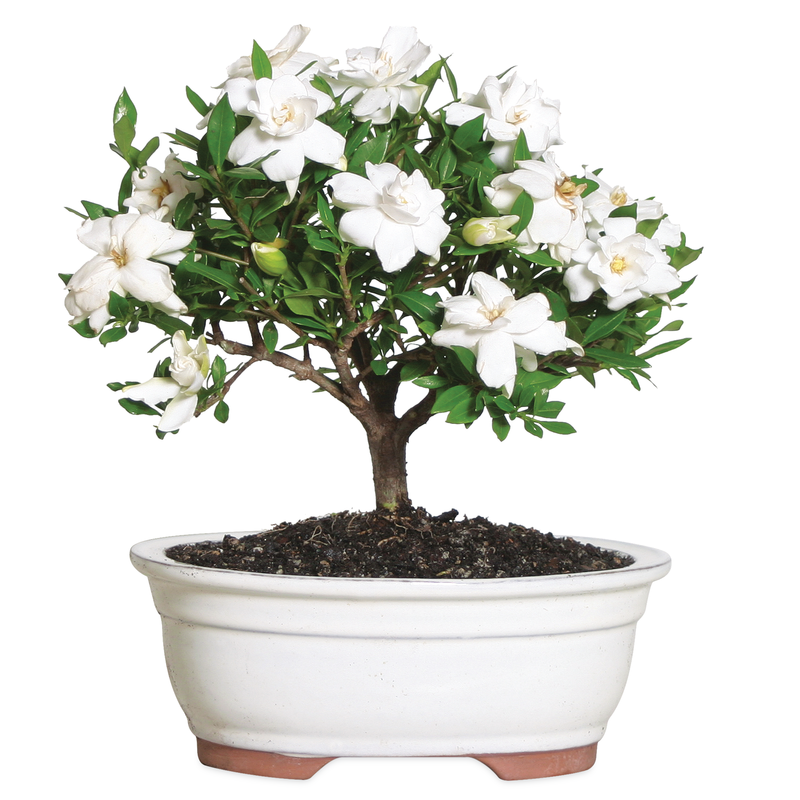 Our grower has proven his merit, transforming a gardenia bush into a 5″ – 7″ tree sprouting sweetly scented blooms. It arrives planted in a shallow ceramic pot as is traditional (“bonsai” means “tray-planted”) and complete care instructions are included. The bloom will repeat seasonally, with ivory flowers up to 1½” in diameter. Place in an indoor location that is well lit, preferably with four hours of bright indirect or filtered sunlight. Keep the soil evenly moist but never allow it to become soggy. Mist your Gardenia Bonsai leaves frequently to raise the humidity around your bonsai. To prune, pinch out ends of actively growing branches to produce a fuller plant. After flowering, you may prune branches back to shape the plant.